Texas is a state of history, with ancient settlements, communities, and even caves that offer true works of art from the past. 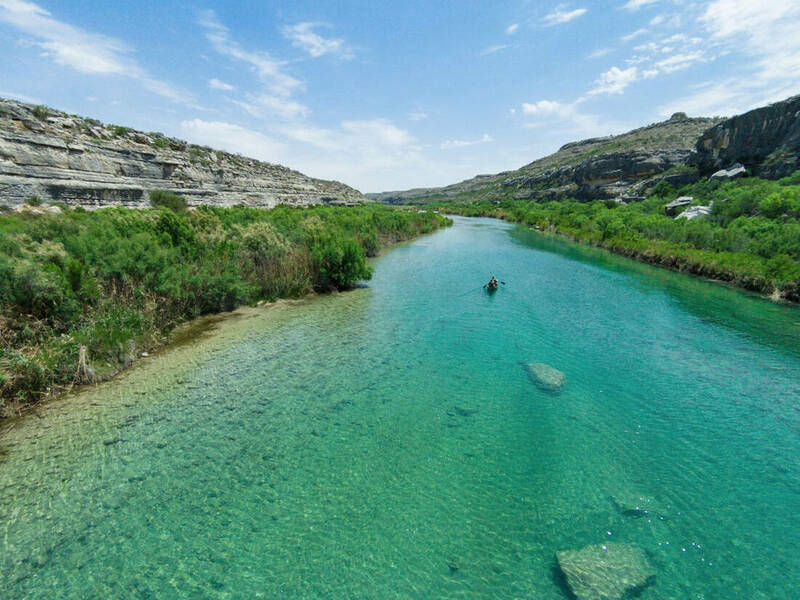 An incredibly stunning and mysterious locale in Texas is one visitors are amazed by on a daily basis. It is the largest and most varied ‘rock art’ collection in the country. Rock art, for those who do not know, is a series of paintings and carvings made by ancient settlers, leaving behind a piece of history that other generations can learn from. In the Lower Pecos region of Texas are the White Shaman pictographs. For over five millennia, aboriginal artists dwelling here chose to be the recorders of history. They used the limestone canyons and rock shelter walls of the Pecos region as the canvases to leave behind their story – art that showed all facets of their daily lives. This is a true archaeological find, because this inspiring art is literally a photograph, far before the iPhone came along, of the way settlers actually lived, worked, and survived so long ago. Here, people are educated on subjects ranging from religion to marriage to work, and how a very real settlement once operated. A myriad of images that make up these recordings are not only the painted kind; included among these are petroglyphs, which are carved or incised images also found in the cave’s walls. With each look, a person learns about life 4,000 years ago, and how cacti and rattlesnakes were the enemies of these hunter-gatherers who believed in their culture as they lived life among impassable canyons. Delicado Shelter is one of over three-hundred caves in the region known for paintings of everything from human figures to desert animals. And with each study, today’s 21st century world gains more and more insight into these ancient residents and their spiritual world. As complex as learning an ancient language, these are mysteries that cannot be ignored. And Texas has continued to protect and preserve these wonders so we can ‘meet’ the persons responsible for building the foundation of the present we enjoy, and the future we all look forward to. Situated nearby, along the Pecos River, is Republic Ranches’ listing: The French Ingram Ranch. The ranch has six known rock art sites and no telling others waiting to be found. If this type of history is intriguing to you check it out: http://republicranches.com/landlisting/french-ingram-ranch-2/ .